← Caption Contest 75 VOTE! Wonder Twin powers, activate! Form of ... well, twins. Because your challenge for this week is to put together the best Twins Team (not in the Major League Baseball franchise sense) you can. If your pair is judged the best, you'll win your choice of any item you like, or a portrait of yourself, to be included in the final HeroMachine 3 release! Contest ends next Monday when I will announce the winners. Unlike the "Duo Name" contest, the twins don't have to be a name pair like "Peanut Butter and Jelly" or "Hawk and Dove", although you could do something like that if you wanted. That's it! Good luck everyone, I can't wait to see what you come up with. That totally needs to be a part of HM3! @Jeff: Are they both to be good, or can one be an evil twin? Doesn’t matter to me Danny, although in general I’d prefer if people didn’t re-submit previous contest entries (i.e. the Mirror Universe or Duos contests). Here is Day and Night. Would something with “two heads” be considered twins? Should probably have another one up soon! Love it LargeFormat! More please! 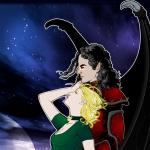 These Twin sister as the daughters of the Elven Mega-Human known as The Succubus and share a powerful telepathic and empathic link to each other. 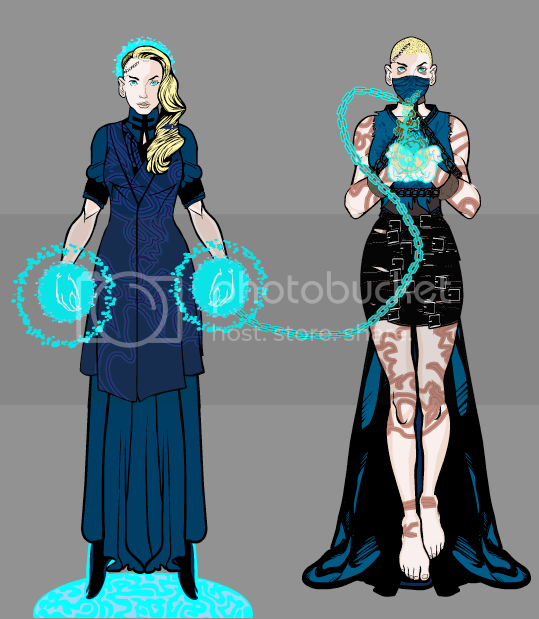 Both girls are trained Martial artists, while Brittney is Skilled City Rat/Computer hacker, and Mea is a powerful Mystic ( Psionics and Magic spells combined ). Inherited from the Succusbu Brittney and Mea have the Mega-Human powers of Winged Flight, Extraordinary Physical Prowess, Extraordinary Physical Endurance, the Ability to Alter there facial features and Physical stature, and a deadly power known as disruptive touch that can at a single touch fry a mans nervious system causing anywhere from blindness to death at there choice. Decided to try something different for this contest! Didn’t come out quite as planned, but it’ll do, I suppose. And yes, these are two twins in two different places, symbolized by the different backgrounds. Enjoy! The older of the two brothers.Strict but relaxed and always follows his rules and hates when someone doesn’t ,especially if it’s his brother Egde.Edge always calls Cleanshot a “Neat Freak” when he’s obsessing over his appearance or surrounding area ,to which he replies whit a simple “Hmph”.Cleanshot’s preferred weapon are his two golden pistols ,but he is well trained in the use of all kinds of firearms. The complete opposite of his brother ,Edge hates when someone tries to tell him what to do and hates following Cleanshot’s rules.Edge doesn’t really care about his appearance ,but loves tattoos and buying sneakers.He also loves videogames and often tells Cleanshot that “someday he’ll be a professional gamer”.Edge is always in a good mood but will quickly show his bad temper if provoked.Edge can be described as lazy but on his feet.He doesn’t have a favorite weapon but prefers all kinds of blades. The two brothers were professional assassins ,but were double crossed by the assassins guild and now they are out for revenge and they happen to help people on the way. They are complete opposite and often fight among themselves but when fighting an enemy are like one person and would do anything for each other. Twins separated at birth, until a chance encounter at the pyrenees mountains, (Because of a war between their two powerful families), brings them together and changes their lives forever. Oso (bear logo) birth name: Canis Sandoval Ruiz: Extremely skilled in feats of raw power. Lobo (wolf logo)Birth name: Caris Arturo Ruiz: Extremely skilled in feats of tactic. 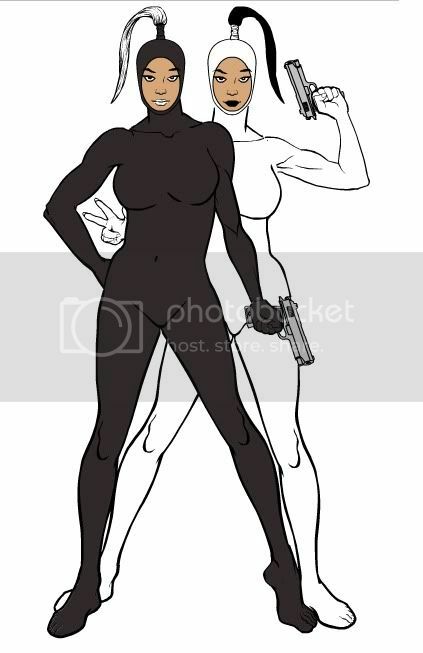 GEMINI SISTERS – The twin daughters of Greek mobster Johnny Gemini and the Japanese assassin Sukiko Takashi, the Gemini Sisters inherited thier father’s ruthless cunning and mother’s killer instinct. Assassins for hire, they are slowly working their way up the criminal ranks with the intention of becoming crime lords. STYX & STONE: Holz and Pierre Vergessen couldn’t have been more different as brothers. Holz loved the open country, and Pierre loved the crowded cities. Holz loved quiet forests, and Pierre loved bustling streets. As they grew older, they spread apart even more. Holz began studying ancient druid culture, and Pierre began studying law. However, after attempts on each of their lives, one that left Holz horribly mutated and another that left Pierre with a paralyzed face, they came together as brothers and swore vengeance on whoever it was that wanted them dead. So they dropped off the radar for a year, and came back as STYX & STONE! And they’re out to do more than just break bones. Hi gang! Here is my first entry. Bobby Boy was born with a congenital twin which didn’t survive. Bobby Boy is a huge brute with a small mind, and is convinced that the dead twin is alive and talks to him. Bobby calls the dead twin “Big John” because “callin’ him “big” makes him feel special”. When someone gets on Bobby’s bad side, Bobby “hears” Big John tell him to kill the bothersome individual. Here goes! The Blackjacks Thomas & Joseph Black are trained swordsmen who turned to a life of crime. Thomas became the Jack of Spades and Joseph became the Jack of Hearts together they are the Blackjacks. Surge and Sandstone are orphan twins.Growing up on the steets they where kidnaped and used in the experiments of an evil organization.When the organization was through with them ,they simply let them back on the street.Emotinaly damaged the two boys thought they where gonna die ,but in reality where changing.Surge got his powers first ,he started running faster than the eye could see and after a while discovered he could manipulate electricity.Time past and Sandstone was beginning to lose hope that he would get cool powers like his brother.When one day he was crossing the road and a speeding car came out of nowhere ,Sandstone froze but when the car hit him he didn’t die put simply burst into a milion grains of sand and reformed.He quickly learned how to control this power and discovered he can make his entire body rock hard and that he has unnatural strength.The two brothers decided to use there powers for good and stop the evil organization that tortured them. Mirror, Mirror, Flesh and Stone. MR.Touch is the big dude, and Mr.Go is well the other guy. Born as twins, growing up they dicovered they had power, however their power required both of them to use it. In the midst of a fight, if Mr. Touch and Mr.Go direct kinetic energy into one another (ie; bumping fists) Mr. Touch generates super strenth but catch is he doesnt get the secondary powers that go along with wich meens that even just walking has a devitating effect. now then, Mr.Go on the other hand generates super speed and like Mr.Go thats all he has, walking for mr.go is equivilent to a normal humans running speed, they also share a connection to eachother that tells them when their kinetik energy is running low, absorbing to much enery….well that would be verry bad for the both of them. oh, and they always refer to one anuther by Mr. Touch and Mr.go. in every day life they are organized and syncronized to eachother, wich also how they fight. their suits as it were are regular buisness suits with altercations. Daye was born a black albino. Last one’s a pretty generic pair of Evil Twins (Symbolized by the Cross-shaped birthmarks on the right arm). One of them- Neophis- is a Necromacy specialist, the other- Blademoor- is a weapon master, and is very effective on the frontlines! Enjoy! Tim and Tom Grant, though identical twins, couldn’t possibly be more different. Tim (a liberal Democrat) is a genius who fights only in self defense. Tom (a conservative Republican) never lets a smart comment go unpunished. While Tim chose to go to college, Tom joined the Marines. After he graduated, Tim dedicated his life to making non-lethal weapons and body armour. After Tom left the Marines a highly decorated hero, he opened a gun shop. After their father is murdered by a street gang, the two brothers join forces to bring his murderers to justice. Tim creates for Tom a costume that is almost indestructable, enhances the wearers speed and strength, and is equipped with stun gloves. Tim (code named “Peacenik”) stays at their secret base and provides data to Tom (code named “Warhorse”) while Tom is in the field fighting criminals. Siphon (the little guy) can draw energy from various sources – electrical equipment, power lines, the atmosphere, the sun, even the bodies of animals and humans, and convert it into a force field. He can also channel portions of it to his big brother Blaster, who can fire it as force blasts. Besides sharing genetic traits, there are some who believe that twins share a special telepathy with one another. For nine-year old twins Kyle and Katie Weaver, they take that trait one step further. For when Kyle and Katie go to sleep at night, they are guided to a distant dream realm. It is within this realm that they can enter the sleeping minds of whomever they wish. They can create the most lucid, pleasant dreams. Or they can create the most vivid, horrific nightmares. While Katie fully embraces her ability, Kyle is scared of the dream realm, and often stays awake at night for as long as he can. However, when he finally falls asleep – and when Katie is sleeping, too – it is then, and only then, that they become The Dreamweavers. Twin brothers Liam (AKA: Crimson Tide) and William (AKA: Emerald Legion) MacDougan have always been polar opposites. To William, being a hero comes naturally. 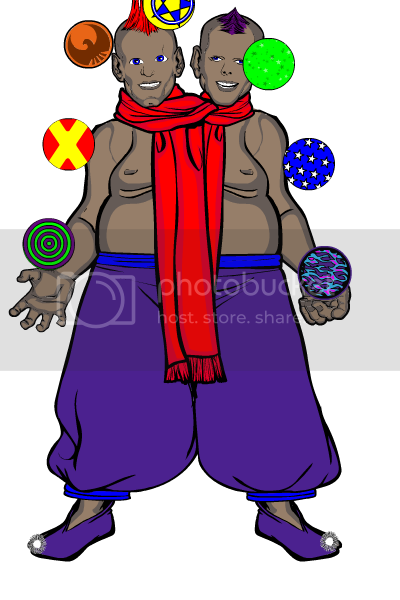 He is a fountain of life energy and has great influence over the natural world around him. He is best known for his ability to infuse the world around him with vitality and health. He uses the alias Emerald Legion and is also occasionally referred to as The Green Man. The latter alias is used widely in Celtic and Wiccan social circles. Liam’s powers, on the other hand, siphon life energy from his surroundings. He has influence over the dead and dying and can even animate organic material that is no longer living. Twin Super powered brothers Liam and William MacDougan. Liam (AKA: Crimson Tide) can siphon life energy from the world around him including people. He can heal his wounds but must siphon the health from another. He has influence over dead and dying things and can even re-animate organic material that is no longer alive. William (AKA: Emerald legion) is a fountain of life energy. 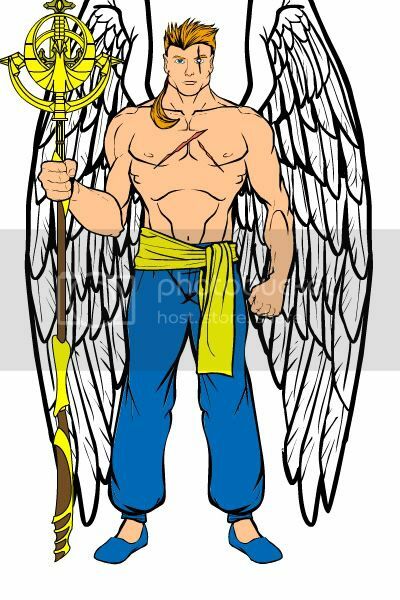 He influences and controls nature in his vicinity and can heal his own wounds and those of others. My posts do not seem to be coming through. War Bird and Peace BIO: These twins were born at before the outbreak of WWII in Great Britain. They were separated by their parents, two very powerful supers. Frederick Pierce (Peace) developed a love for huumanity, though still disconnected from them. Victor Grant (War Bird) on the other hand, seeing the horrors of the war, grew to hate humanity and viewed normal humans as an infection that must be cured. They are mortal enemies, but on occasion can find a common goal. Like when their father, an ancient and powerful being, becomes a threat not only to human kind but the supers as well. Only in these extreme occasions can they work together. They have a brotherly respect for each other that comes through in the way they speak to one another on the rare occasions they communicate. 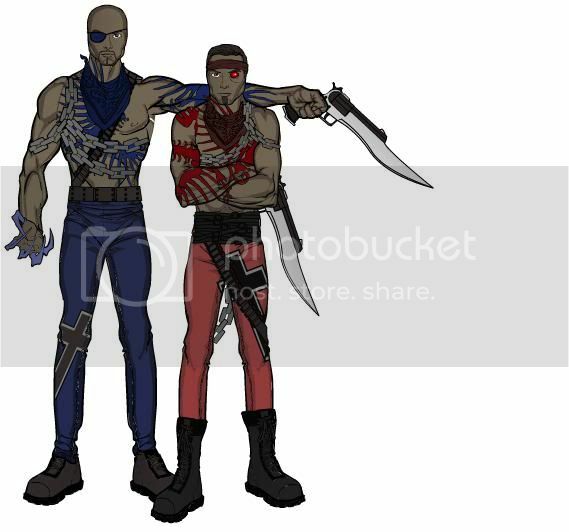 Cripp and Bloodd grew up as the twins Jeremy and Jamal Jacobs in a less wholesome part of LA, their father long dead from a gunshot wound he sustained during a drug bust. At early ages they became involved in gang violence, a necessity to their own survival in their environment. The Gang culture only became more important when their mother was paralyzed in a drive-by when they were 14, at which point they settled into their respective gangs behind the back of the other. Jeremy joined the Crips, and Jamal joined the Bloods. Rising through the ranks, they soon became prime targets, and were inadvertently set out by their respective gangs to kill one another. However, once face to face, it became painfully clear the damage that gang violence was capable of. They attempted to run from their gangs so they didn’t lose face (or more), but were tracked down by their gangs and beaten within an inch of their lives, each losing an eye in the process. A week later, they visited their mother in the hospital for the last time. Something happened that day, and no one’s sure what. Many think that Mrs. Jacobs used the last ounce of will she had to summon God himself and inject him into her children. She lifted her arms- an act she hadn’t done for seven years- placed her hands on her childrens’ heads, an simply died. In that moment, the holes where their eyes used to be, began to glow. Both felt a new power surge through them that they needed to use to prevent such needless fates as their parents’- and their own. Now they use their combined righteous might to roam the streets of LA as the vigilantes Cripp and Bloodd, determined to end the violence that caused them so much pain. Scavenger and Scout are immortals ,born in the middle ages.They have see the evil that lurks in the night and have sworn to stop it at any cost. Their adoptive father was Abraham Van Helsing. One night he was hunting down an evil witch ,Van Helsing found her lair and when he was about to kill her, he saw two baby boys on the ground.He saved them but the witch escaped.He took care of them ,traind them , taught them whats good and whats bad ,he loved them as his own sons. Seventeen years after he saved them the witch returned and killed Van Helsing in his sleep.The two boys saw this and swore to avenge their father. 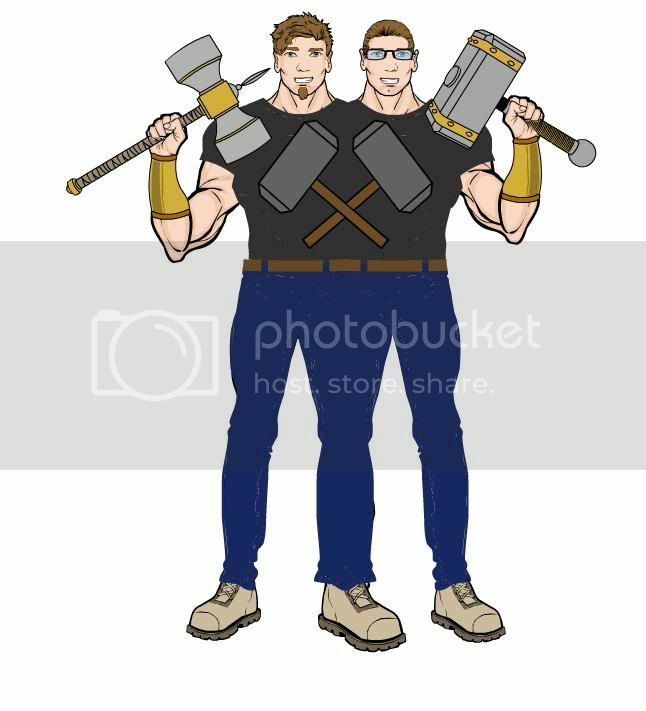 Scavenger and Scout dont know why their immortal and have unnatural strength ,speed and heal faster than normal people ,but they use this to stop monsters all over the world. The founders of Rome: twin brothers Romulus and Remus. The twin half-elven knights, Valasir and Istiasir, both served King Aled. Valasir did not inherit any of the magical talent of the Elven but became a skilled warrior. As for Istiasir, he did inherit the magical talent of the Elves and became the first of the Seven Mage Knights. Valasir and Istiasir would often work together especially in the War with the Sorcerers of Zakarun. Two Kitsune twins, both of wich chose the opposite path of one anuther. the brother chose the path of the yako, wich has gifted him with powers of offence, he has the power to quikly master all bladed and pole armed weapons. 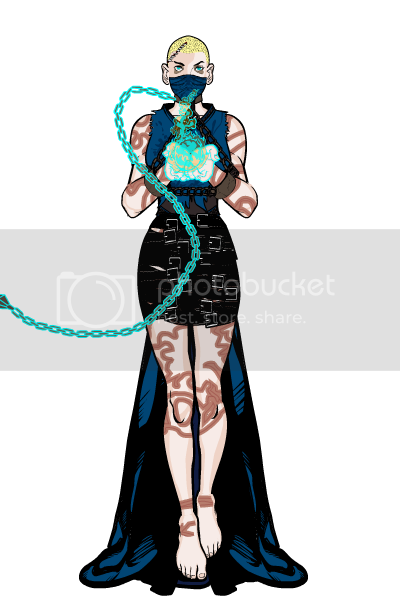 the sister chose the path of the zenko, wich has gifter her spiritual powers, and powers of healing and defence. to gether they restore the balance of the spiritual world! Biologist Eric Gruber and his pregnant wife Anna leave Germany in 1920 and move to America. Many years later, Hitler begins his reign of terror. Realizing U.S. involvement in the war is inevitable, he gives his twin sons a serum which turns them into supermen so they can assist in the fight against the Nazis. While Benjamin can’t wait to fight the Nazis, his brother Samuel goes to Germany to help Hitler defeat America and it’s allies. Unbeknownst to Samuel, Eric’s electrician friend has built an anti-gravity belt to aid Benjamin. Wearing the colors of his country, Benjamin calls himself “Mr. Liberty”. Over in Germany, Samuel dons a costume emblazened withe the dreaded Iron Cross and calls himself “Uber Reich”. Here are my entries. Being English I think that comics are a bit too American (no offense intended towards america) and so i created these two characters: Captain England and his sidekick; London Lad! I thought i’d go for the corny, fun, Golden – Silver Age of comics, as comic book characters today are a bit too serious and emotional! The Twins Flavius and Aurelia were both born with incredible psychic powers. When they came of age both decided to join The Arcane Investigations Agency’s Psionics Corps. They became to of the highest ranking agents and were sent only on the most secret and dangerous of missions. When they are not a mission, they usually serve as advisers to the current head of the Agency. They usually focus their powers through their staffs. My final Entry; The Prince and the Pauper. The Prince is spoiled. He always gets state-of-the-art, top-of-the-range armor and swords, and being extremely vain, he uses his Royal lineage and heirage to his advantage, giving him one of the best spots in the army. The Pauper is a superior fighter to The Prince, but because he is classed as a mere peasant, he has to use what he can find as make-do-and-mend armor, as well as only having an extremely heavy and too long rusty sword. After 2 years of The Prince’s rule, he was overthrown by the people of his country, and it was delcared a republic. Twins Jayne and Jane wilson were seeked out and kidnapped and brought to a lab for human testing and modification, this lad and or organization was called “Revamped”. 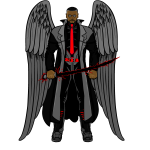 this organization founded and exacuted a procedure that culd force latent abbilities out, and the result…Guns and Madam Blade, along with others, Now the two fight along side a man name Artimus 111 and his Escapade for continental take over. I was going to try and pose them, but I think the character designs speak for themselves. Mark Gibbson (Flint) and his twin brother Mike ( Steel ) are mutants! The pair developed there powers at the age of 13 and as a result were scorned and feared by their peers. Marks Arms turned into living organic stone and has developed supernatural strength and endurance. Mike on the other hand had his arms becoming living organic metal. Not as strong as his brother, though still near peak human level, Mike makes up for the difference by being able to alter the shape of his metallic arms to form weapons. So fine is his control that he is able to create blades that possess micro-filament edges. 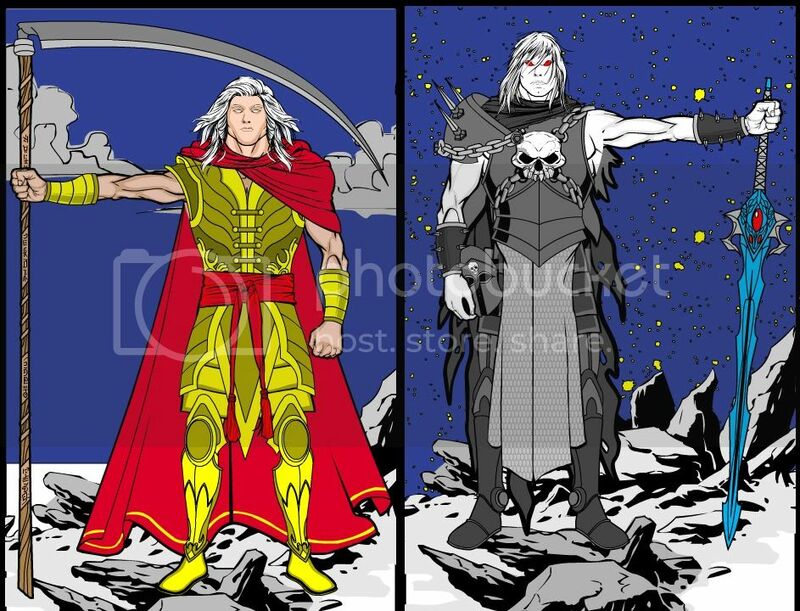 SEVENTH SONS – Twin brothers that came into the world moments apart, they were born to a seventh son who had six sons before them, but no one knows which of them is the seventh son and which is the eighth. Each believes he is the one prophesized to determine the fate of the Numerian Empire, whether to judge its worthiness to survive or corrupt what good it has left. One is the Incarnate, the chosen of the gods and the judge of men. The other is Lord Devoris, the champion of darkness who commands demons and has no equal. The world has never seen their like and hopefully never will again. My good and evil twins, Sugar & Sin. QUEENS OF CRIME – Antonia and Angelina Scarfitti trace their lineage back to Anthony “King of Diamonds” Scarfitti, a New York mobster who oversaw criminal enterprises up and down the East Coast. 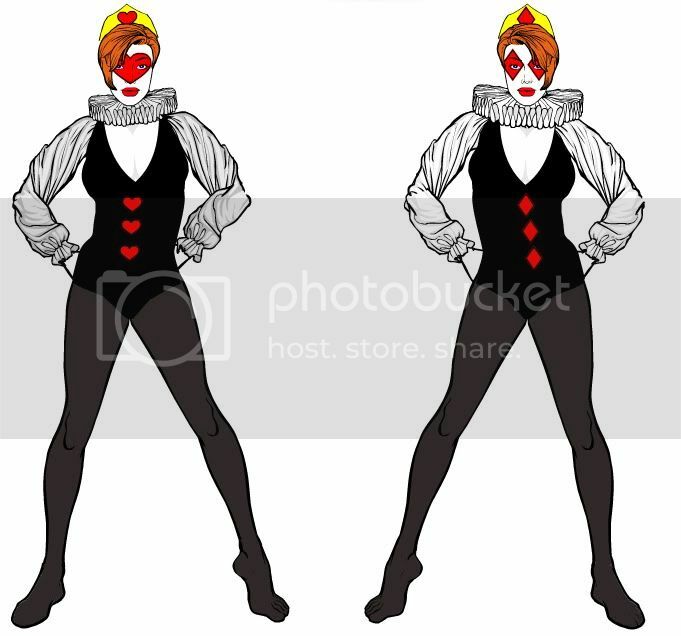 Carrying on the family tradition, they created the criminal identites of the Queen of Hearts and Queen of Diamonds, hoping to amass enough wealth and resources to resurrect the Scarfitti criminal empire. Ok so I’m new to this contest and I uploaded my entries to an album I made on the UGO forums and I’ll be pasting those links here. I hope that’s OK; the site tones down the quality of the image a tad, I hope that is all right as well. Chandra and Vrika(not their birth names) were born in a small peasant community in India and led a fairly normal childhood. Then, when they were adolescents, Chandra discovered strange powers. Or rather, he discovered strange changes happening in his body; he went deathly pale and his eyes turned golden and his hair turned silver and he found he could levitate. While he tried to explore the full extent of his powers he learnt that he had the capacity to unlock lupine traits and abilities in his brother – werewolf-like appearance, speed, agility, superior strength etc. However, to his dismay, for all his dramatic and awe-inspiring appearance, that was all he could do. He had the power to unlock powers in his brother. 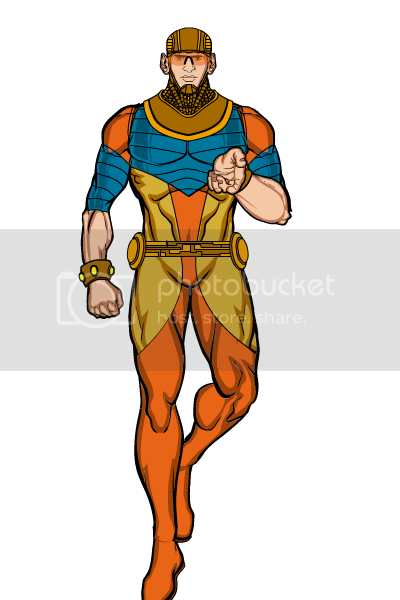 Chandra modeled himself on the Indian moon deity, whose avatar or offspring his villagers thought him to be, and his brother adopted a costume and arsenal suited to his capacities; and together as Vrika and Chandra, they travel the world fighting crime. I split my post into two since the write-up on each entry turned out to be inordinately long. Based on the ancient Sumerian myth of Gilgamesh, only in a post-Apocalyptic scenario. Gilgamesh, unlike the epic, manages to attain immortality and distraught by the loss of his soul-mate Enkidu, renounces the throne of Uruk and travels the land, desperate to find a way to bring his friend back to life. Gilgamesh, being immortal, manages to survive the second Great Flood without losing his memory and as such is perhaps the only person who remembers the world as it used to be. He now navigates the wastelands left by the Flood in its wake, tormented by memories of what used to be. He carries with him his old club, an heirloom from his days as ruler of Uruk, and as a consolation to changing times- a rather effective gun. Enkidu is reborn in the wake of the Flood in a small community of survivors. 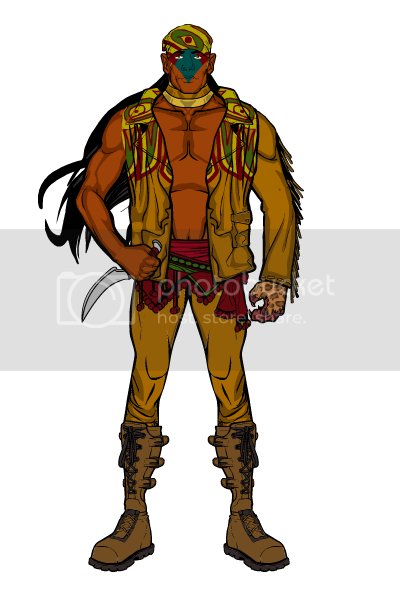 His immense strength and primal, almost animalistic ways terrify his family and their community. He is also tortured by strange visions and memories of the pre-Flood days, leading his community to label him mad. Ostracised thus, he departs from his community to find meaning to his visions, carrying with him a modified shepherd’s staff that he himself made. When Gilgamesh and the reborn Enkidu meet, their souls instantly recognize each other and their millennia old bond is renewed. Once again united, their tormented souls find solace and completion. The two thirds divine Gilgamesh is an effective counter to the two-thirds animal Enkidu; and Enkidu’s pure nobility keeps Gilgamesh’s arrogance and detachment in check. Once again, my apologies for the verbosity of these back-stories; I just felt they add to the entries. The Immortal and The White Mage were both the result of a human, who had allied himself with Beanos, tricking a female Titan, one of the few remaining of the Titan Race after Beanos’ massacre of them, into sleeping with him. The Titaness escaped with her daughter but unfortunately was not able to save her son. She raised The White Mage and taught her right from wrong. The Immortal however was raised by the forces of darkness and became one of the most vile and ferocious Generals, serving Beanos. When Beanos died he served the new Dark Lord and Father of the Vampiric Races, Moradis. The White Mage, who received her name because of the white robe that she was accustomed to wear and the Immortal became bitter enemies. Since they were both immortal, they continued their warfare throughout the ages of world as one stood for the light and the other for the darkness. Do siamese twins (two body one head) count? Everything counts if you can make it cool, my man. Ken and Patrick Ross were fraternal twins which, during an unusually long and painful labor, were born almost two days apart. Ken was first, and was always destined for great things. He excelled creatively and socially, and although his academics weren’t perfect, he still graduated school with honors. Patrick was second, always the underdog, but surprisingly, he never really seemed to mind being second-best. Patrick’s powers developed first, surprisingly, when he discovered he had an interesting affinity for manipulating sound waves. He found that his newfound power, what he called “pinging”, would send out a pulse of sound, stunning and disorienting anyone caught in the blast. Ken’s powers developed shortly after, an ability to blast bright light from any given object, producing a similar effect as his brother’s “pings”. When they were 23, the twins decided to try out the superhero life. It was worth a shot, they thought. And although they were never really celebrated for their stunning courage, Lighthouse and Beacon, as they became known, were happy with what they had. This imamge was found on a archiological dig in an area believed to be the foundations of myth of the lost city of atlantis. It is believed to be the remnants of a muralin a building thought to be used in the training of Atlantian soldiers. My First Entry, the mercenary twins, Fire and Ice. Twins born to elves are uncommon. These two brothers have always been uncommon in many other ways as well. As young as their 100th birthday they had co-founded the Order of the Dragon. It is a new elite order responsible for defending the royal family of the elven nation. Note: I liked the one brothers helmet as well as his hair so on one of the images below I left his helmet off so both could be viewed. Here are a few close ups for my entry #2. Jeff, I know you said siamese twins are ok but what about clones? i.e More than one. Technically I suppose clones are identical twins, so although it’s certainly not what I had in mind originally, I suppose it should be allowed. Here is entry #2,brother & sister team Life & Death. Here is my last entry. This is a twin sister team. 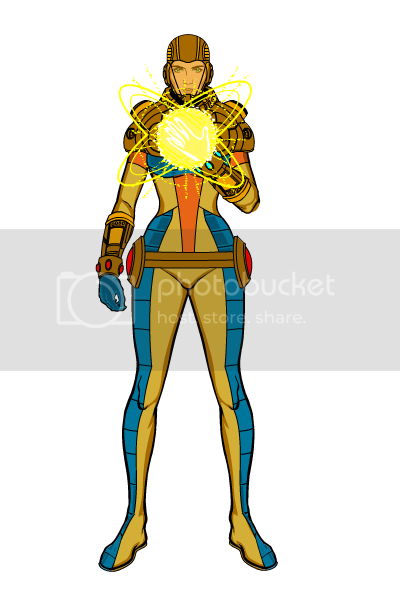 Sunburst has the power of a sun. She can also control light & heat. Her sister Twilight has control over shadow & darkness. Sorry but I have to argue whit clones being like twins. A clone is a perfect copy of the same person and same personality ,when it comes to a superhero power.And twins are separate people with different personalities more or less , and even twins have different fingerprints and not always but some have height difference. Sorry Anarchangel ,your N8. is awesome and I love the way you made the clones but this is my opinion. Yeah I have too agree that is corect JRansom ,but in this situation we have a superhero that self replicates, so he’s making copies of himself along with his memories , DNA, fingerprints basicaly a perfect copy ,not a different person but also if the real superhero re-assimilates his clones then there is no different personality to be made.The Clones would be only shadow copies of a real being. And i think someone once said that ,if you fear death you are alive ,but if a superhero re-assimilates his clones and that is kind of like dying and they don’t fear that they aren’t real people. What if they’re not literal clones (in a biological sense)? Maybe they’re past or future selves pulled forward or backward through time, in which case their total set of experiences would technically be different from the “original”. Or maybe pulled from a different timeline or reality altogether (imagine a squad of heroes made up of alternate versions of the same guy). There would be no fear of death because they knew afterward they will simply be returning to their original timeline/universe. Or maybe they’re simply psychic projections. In the context of a comic book universe, is the concept of “twin” limited to the physical/biological? Anyway, first entry: Pyschokinetic twins Aphra and Cecilia Elliot! Born under the strict supervision of their father, an accomplished telepathic supervillain, Aphra and Cecilia were trained from birth to develop their impressive psychokinetic abilities. Cecilia was disciplined and perfected her abilities at an early age, but her sister Aphra leaned more towards the destructive capabilities of their gifts. Aphra eventually snapped and turned against her father, whose response was to use his own abilities to brutalize her. Aphra would have died if not for Cecilia’s intervention, killing her own father to save her sister. In his last act, Father Elliot used his abilities to telepathically lobotomize Aphra, rendering her a violent and uncontrollable savage. Cecilia used her own abilities to establish a strong neural connection between herself and Cecilia, keeping Aphra’s mental volatility in check through sheer willpower. 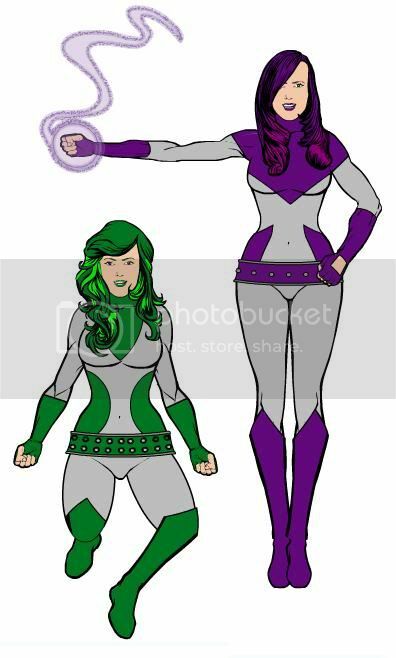 The mystically empowered Yaguareté Twins! Ramiro and Remigio Quevedo were born during a time of civil war and violent upheaval in South America. They joined a group of guerillas hoping to protect each other during the conflict. During a particularly fatal skirmish, Ramiro and Remigio were driven deep into the surrounding forest. Attempting to escape enemy fire they stumbled across an ancient Mayan temple devoted to the figure of the Jaguar. They hid inside attempting to find cover, but were spotted and shot on the temple grounds. Their blood leaked onto the sacred space and the Mayan deities took pity on the brothers, resurrecting them and empowering them as avatars of the Jaguar, with enhanced strength, speed, and agility, and the ability to wholly or partially transform themselves into jaguar entities. 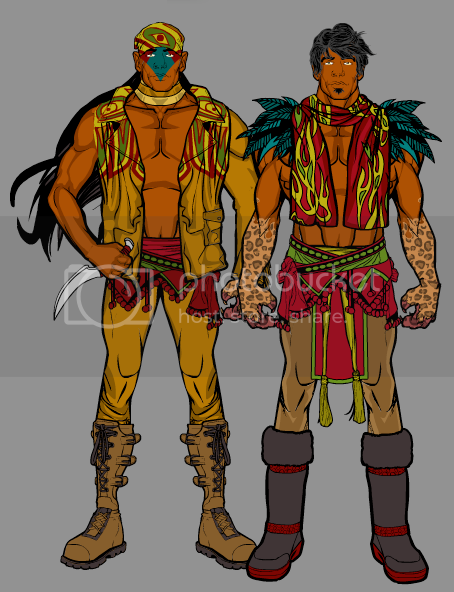 They adopted the identities of Kuxtal and Kimil, champions of the indigenous of South America fighting against military genocide and government corruption. 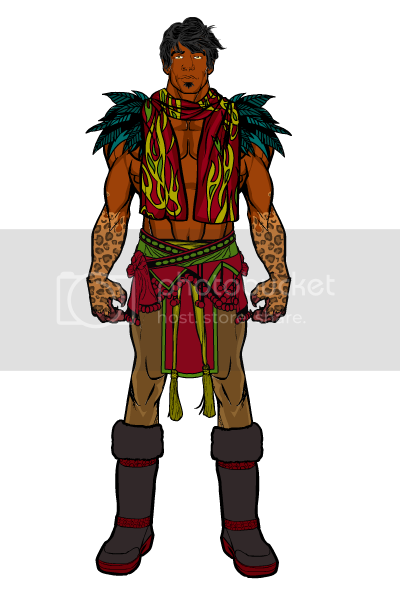 More reckless and brash of the brothers, makes most use of the jaguar form and enjoys frightening his enemies. Keeps his emotions in check and likes to think through obstacles rationally. Only makes use of the jaguar form when necessary and tends to avoid fights if at all possible. Trix and Treeets. The year 2047…Theresa “Trix” McCall and her twin sister Tiffany “Treeets”, were born as conjoined twins. Luckily they were only joined at the finger tips on opposing hands. Much to their chagrin,they were seperated surgically. But rather than becoming their own individual,they seemed to lack a certain luster or spark to their personalities. But when they touched hands, they seemed to be vibrant, energetic, powerful. You see, they shared a telekinetic link with just that touch. In their day and age, Intergalactic travel is an avoidable evil for business,pleasure or crime. Utilizing their special abilties along with martial arts and weapons training (a must in society) they opened “Trix N’ Treeets,Inc. 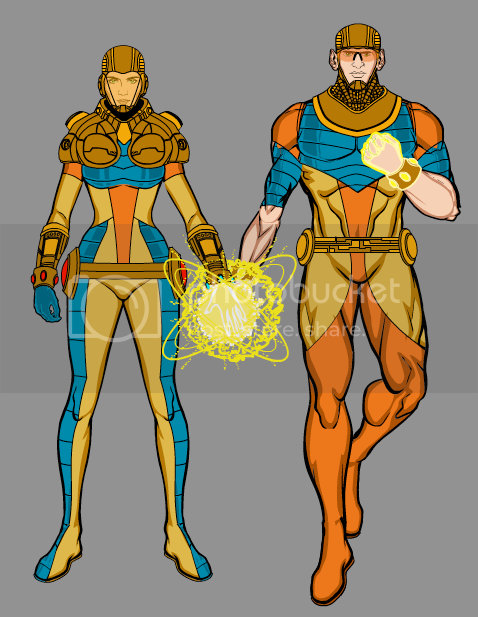 : Intergalatic Bounty Hunters.” Now they travel the star systems hunting down the most notorious outlaws. Whether alien or human, no target is too big or too ruthless for THESE twins! Julia absorbed the majority of the energy output of the dimensional breach and can now release it in powerful bursts. The particular energy she utilizes is extremely volatile and she wears a containment suit of her brother’s design to limit its exposure to the outside world. 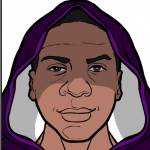 Marcus has gained the ability to absorb various forms of energy which he can internalize to increase his strength, speed, durability, and endurance. He is most revitalized by his sister’s energy and can also help her to stabilize her ability by siphoning off excess radiation from her. Twins but definitely not a team. * Still stuck on fantasy folk and spiders, for some reason. These are a late entry but, I think there might still be time for them if not, enjoy them any way. This is Willy and Tilly a two headed man of great stature. Despite what some may think of them they are friendly and genital and love nothing more then to hear the laughter of children. 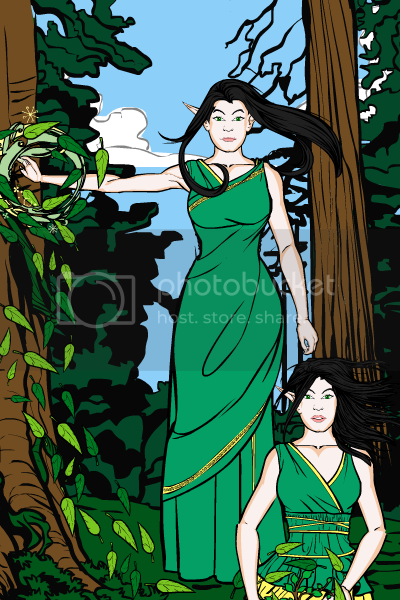 These two are elven twin sisters. No one knows there names for if they have any they never speak of them. They are refereed to as “The Twins”. They care for nothing other then the well being of their forest.